Your product offers a rich set of features and functionality and maintains a surprisingly easy to use feel. The tools that you have chosen in its creation (.net and SQL Server) certainly represent best-of-breed for any size organization. “Thank you for developing a software that finally makes sense. We cautiously switched from a more complicated software tool wondering if we would lose jobs. We have not lost one single job! It turns out our clients don’t care how much we know…they only want to know how much we care. BidMagic delivers that message. 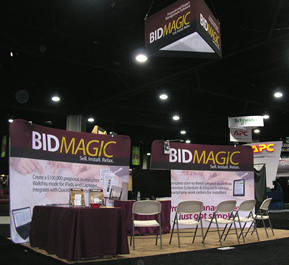 BidMagic has everything our clients want and we can teach anyone in the office to use your software in a couple of hours.